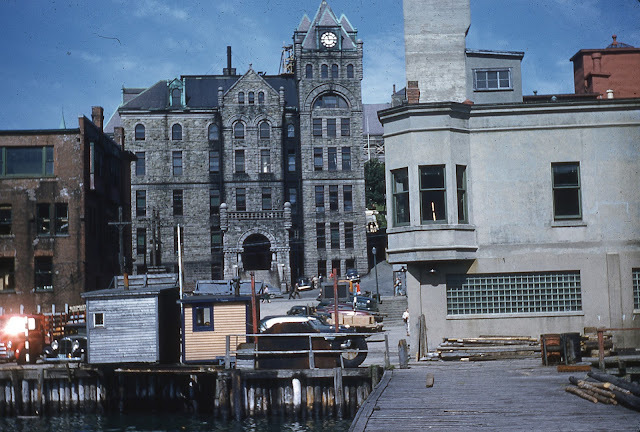 These two photographs were taken by Allen and Pearl Squires in 1954 and show downtown St. John's before the addition of Harbour Drive. Do you remember the change to the harbourfront? View of St. John's harbourfront and wharves . 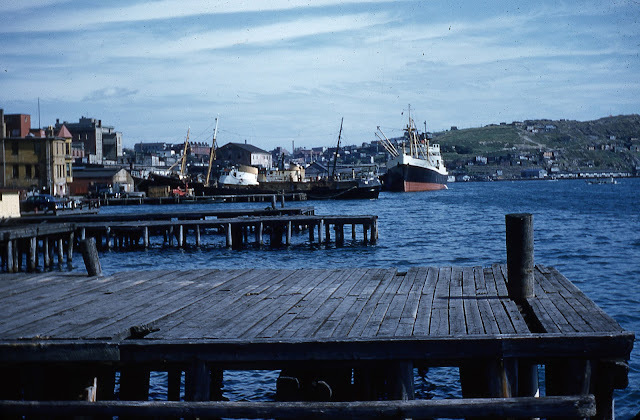 Photograph courtesy of the Portugal Cove St. Philip's Archives.